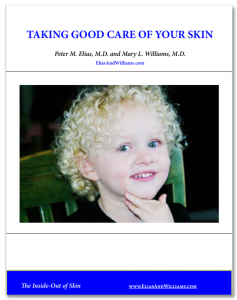 Thoughts on the Rational Treatment of Atopic Dermatitis - Elias and Williams: The Inside-Out of Skin by dermatologists and skin researchers Peter M. Elias, M.D. and Mary L. Williams, M.D. This is the 4th in our series of updates on atopic dermatitis. In the preceding articles we considered why so many more children nowadays are developing eczema, what we know about the genetic underpinings of the disease, and how defects in the skin barrier and loss of the acidic pH on the skin surface are key to understanding how the dermatitis develops. In this post we consider how this information provides the basis for new, rational paradigms for treatment. 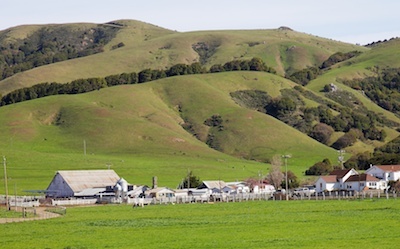 The epidemic of atopic diseases is commonly attributed to the move from rural to urban habitats (the so-called Hygiene Hypothesis). Photo by Mary L. Williams. The ideal formulation of a cream or ointment for the individual suffering from atopic dermatitis would both 1) replace the normal lipids that were lost with bathing and 2) also would correct the deficiencies in barrier lipids due to the disease itself, as well as, 3) restore an acidic pH, and 4) inactivate the serine proteases that are degrading the barrier. Thus, a corrective lipid replacement that is also formulated at a low pH, while also containing one or more ingredients that inhibit serine protease activity, would be whats needed for atopic dermatitis. The only such product on the market is the prescription product, EpiCeram® emulsion. This product was developed based upon research from the Elias laboratory and is licensed by the University of California to Primus Pharmaceuticals. Although there are many topical products on the market that make ‘barrier repair’ claims, EpiCeram® is the only product that has been shown to be effective even in moderate-to-severe atopic dermatitis, demonstrating the same anti-inflammatory efficacy as a mid-potency topical steroid. Importantly, EpiCeram® is safe, exhibiting none of the side effects of topical steroids, and it can be used on infants’ skin and on the face and body folds. Mild flares of the dermatitis can be effectively managed with a corrective lipid replacement alone, while more rapid relief from more severe flares may benefit from the short-term addition of a topical corticosteroid, or in some instances, a topical immunosuppressant, like tacrolimus (Protopic) or pimecrolimus (Elidel). Individuals with persistent and severe disease may benefit from one of the new ‘biologics’. These are a class of therapeutics based upon inhibiting specific members of the immune system. As very new to the treatment regime, the final word on their safety and efficacy is not yet in. Who should get them and when will need to be determined with further study, but hope is certainly on the horizon for individuals with disease that is poorly controlled by standard therapy. Stay tuned.